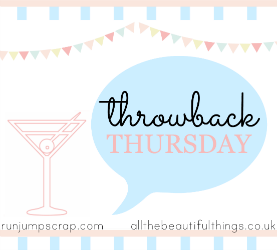 I am joining in with Sarah at Run Jump Scrap and Helen over at All The Beautiful Things for their new linky Throwback Thursday. Pop over and have a look! I love this idea as I love looking back through old photos, although some of them will never be shared with the Internet!!! This week I am sharing a bump picture from when I was pregnant with Little Man. I was in the last couple of weeks here and constantly got comments about how big I was and people asking me how many babies I had in there!! Love looking back at my bump pictures; he was 10lb 6oz when he was born so he needed all that room! !